Do, give me as a treat. Let all of them unite. 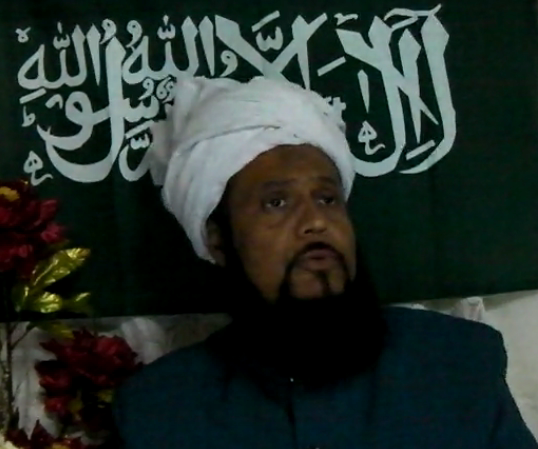 Why and how did the Ahmadiyya Community expel Hadhrat Munir Ahmad Azim Sahib (atba) of Mauritius from its ranks? It is a question that still baffles most common Ahmadis and remains hazy and unclear to many others even today, some 12 years after the dark episode. Anyone who examines the record of the incident will point a finger at the arrogance and hubris at work in the Nizam-i-Jamaat. The nizami mandarins never had the humility, nor basic courage to face the truth, nor the simple decency to place the record in public: in black and white, before the Jamaat and the common Ahmadis, so that everyone may know what really happened behind the scenes. After all, justice demands fairness, credibility and transparency: a decision taken in the name of the Jamaat and in the name of the collective interest of the common Ahmadis, the record should have been available for scrutiny. Before the official expulsion in 2001, Hadhrat Munir Ahmad Azim Sahib (atba) was falsely charged with the grave offence of pretending to be a recipient of Divine Revelations. He was accused of being a “drug addict” and “mentally-sick person” (“Bimaari”). Within the Nizam-e- Jamaat, those in the corridors of powers plotted a web of intrigues in support of these wild and irresponsible allegations. False testimonials of self-serving sycophants were lifted from the trash-cans to ‘grease’ the case. The ‘slippery’ basis of the evidence did not deter the Fourth Khalifa from his chosen course of hubris and ‘curse’: only to fall-flat on the dustbin of history. The failure to see through transparent lies, intrigues and false testimonials- all planted and facilitated in the official channels- will remain a blot on the record of the Fourth Khalifa. The humiliation of those who facilitated the crime of expulsion was a chronicle of events foretold at the very court of Allah (twa). Thus, in a Divine Revelation received on 09 April 2002 & many other times also, Hadhrat Sahib (atba) was informed: “I Shall Humiliate Him Who Designs To Humiliate Thee”. We record below the Divine vengeance for one of the culprits for his despicable crime of complicity- one who sought to humiliate the Divine Messenger for our times meets with his day of public humiliation among his people. ...[t]he belief in all the prophets of God is fundamental to a true believer in the Oneness of God, especially for the one who calls himself Muslim. The prophets form a chain and the medallion, which enhances the beauty of the chain, is certainly the greatest prophet Hazrat Muhammad (pbuh). 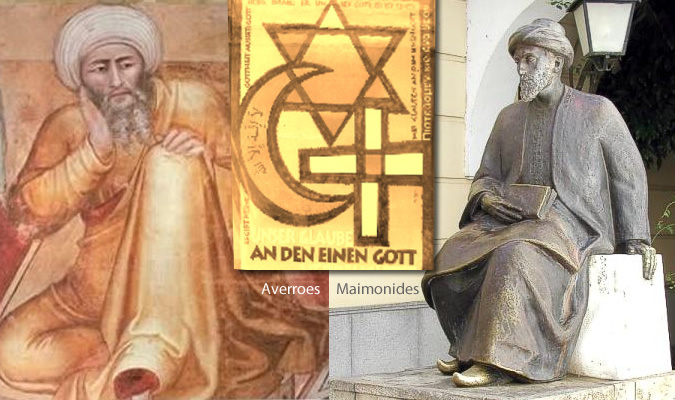 If the Israelite prophets received from God sons who were both biological and spiritual, so why not the Muhammadan Ummah? From the prayer of the Promised Messiah Hazrat Mirza Ghulam Ahmad (as), it is clear that the Messiah (as) wanted a son like Prophets Zakariyya and Ibrahim (as) each received; extraordinary, learned, and intelligent sons, one who would raise the honour of the physical family of these prophets, as well as their spiritual ones, that is to say, their communities of believers. [Inset: Zechariah as depicted on ceiling of the Sistine Chapel by Michelangelo']It is in this context that the Promised Messiah (as) went into retirement/retreat at Hoshiarpur so that Allah may listen to his supplications and answer his prayers. In addition to this, the people around him wanted to witness a divine sign which clearly assert his veracity. Thus, it was about such a sign which had to be manifested in the lifetime of the Promised Messiah (as) so that they may witness to this sign. And Allah, by accepting his prayer during his retreat has confirmed that He shall fulfill his prayer and grant him such a son who would be from his own seed, and who would be a Great Divine Sign. It’s been two years since the launch of the duel of prayer against Abdul Ghaffar Sahib and his Jamaat – The Jamaat Ahmadiyya Islah Pasand. This is because he implied that the Musleh Ma’ud, Hazrat Mirza Bashiruddin Mahmud Ahmad (ra) was not the true pure son, promised to the Promised Messiah Hazrat Mirza Ghulam Ahmad (as), and who would also be a reformer. Like Zakariyya (as) who wanted a biological heir who would inherit from him and the family of Yacoob (as) – that is, prophethood – likewise, God heard the prayer of the Messiah and guided him to go into retreat at Hoshiarpur to pray in this direction: supplicating God Almighty for an extraordinary son who would be a Great Divine Sign, such a sign which would be more miraculous than to revive the dead. What was certain was that the Promised Messiah was absolutely certain that this son would be his own seed, which would mean that this son would consolidate material/ physical/ biological and spiritual heritage of the Promised Messiah (as). After he received revelation from Allah about the birth of a son, he was delighted with the divine promise and therefore called his promised son “Musleh Ma’ud” (Promised Reformer). 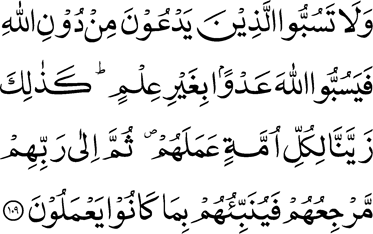 This was certainly his desire because this shall also prove that such a divine gift may happen in the Ummah of Hazrat Muhammad (pbuh), whereby a messenger of Allah among the Muhammadan elite receives from God a son who would be the dazzling representation of the realization of a prayer to God Almighty. 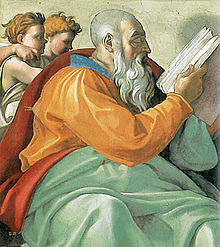 All the prophets of Allah receives from Him spiritual sons too, and this is an undeniable truth because these spiritual sons represent the promises of tomorrow, because whenever faith and the true teachings of God are violated, then these spiritual sons are to appear from among the followers of the deceased prophet to guide people once again to the true faith, the oneness of God. All the prophets since the dawn of time have received such spiritual sons because without these spiritual sons and sincere followers, then how the belief in Allah, in all the prophets of God and in all the tenets of faith shall be maintained? .....To return to the subject of Mubahila and the accusations and renunciation of belief that the Jamaat Ahmadiyya Islah Pasand and its leader Abdul Ghaffar Janbah Sahib have towards the person of Hazrat Mirza Bashir-ud-Din Mahmud Ahmad (ra) and this humble servant of Allah, the Khalifatullah of this era, then the world is still waiting. As you now all know, Hazrat Mirza Bashiruddin Mahmud Ahmad (ra) was the second successor of the Promised Messiah (as) from his own seed. His appointment as both Khalifatul-Massih and Musleh Ma’ud proved to be fruitful to Islam throughout his life. He was a distinguished Caliph because his birth was foretold by a number of previous prophets and saints. Moreover, the Promised Messiah (as), like I said again yesterday received a divine sign for the truth of Islam as a result of his forty days prayers at Hoshiapur, in India. Allah the Almighty told him that a pure son (Zaki Ghulam) whom he named “Musleh Ma’ud” would be born to him within a period of nine years. He had already published this prophecy regarding the Musleh Ma’ud (ra) on 20 February 1886. 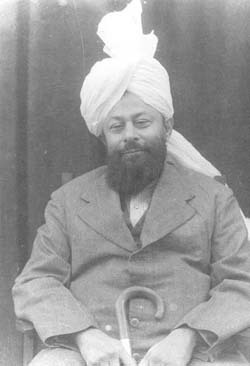 In accordance with this divine prophecy and within the specified period, the promised son, was born to the Promised Messiah (as) on 12 January 1889 at Qadian, despite that unbeknownst to his father, it was his first-born living son who represented that special hope for the future of Islam Ahmadiyyat. He was named Bashiruddin Mahmud Ahmad (ra). The prophecy about Musleh Ma’ud had also specified some special qualities of the promised son. For instance, it was foretold that he would be extremely intelligent and highly learned. His fame will spread to the ends of the earth and nations would be blessed through him. He got his primary education in a school of Qadian and then in the Taleemul Islam school when it started in 1898. He could not do well in his studies due to his persistent ill-health. His academic career came to an end in March 1905, when he failed in the Matriculation examination. About two years before this, in October 1903, he had married Sayyidah Mahmooda Begum Saheba (also known as, Hazrat Umm-e-Nasir). Respect for other faiths is an essential part of Islam as it should be for all faiths also. Respect for each other’s religion plays a vital role in maintaining peace at familial, social, environmental, national and international levels. To each Muslim, liberty of religious belief and practice must be dear since tolerance is a vital part of Islamic faith. Religious liberty practiced in any society guarantees also liberty of scientific discussion within it and a tolerance of the views of others, so essential to the growth of science. 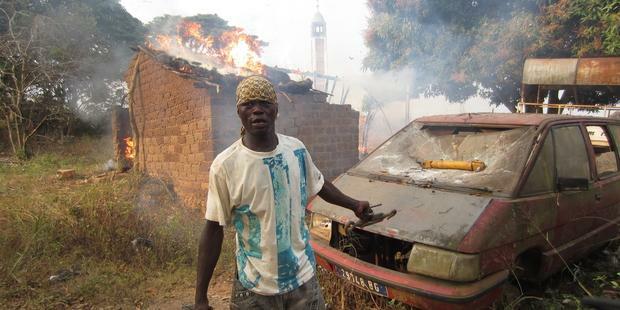 "Ethnic cleansing' of Muslims has been carried out in the western part of the Central African Republic, the most populous part of the country, since early January 2014," Amnesty International said in a report. "Entire Muslim communities have been forced to flee, and hundreds of Muslim civilians who have not managed to escape have been killed by the loosely organised militias known as anti-balaka." Why did Jefferson own a copy of the Quran? 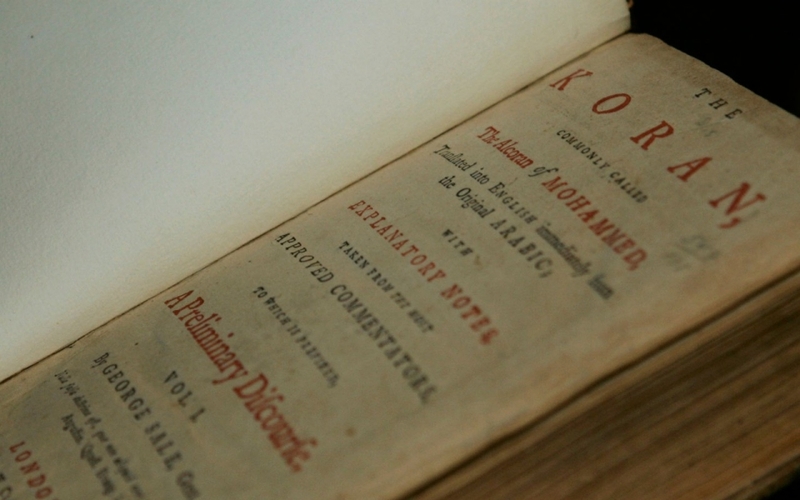 The third president was interested in Islam for many reasons, as Denise A. Spellberg explains in her book “Thomas Jefferson’s Qur’an.” He was able to read the holy book of Islam in the first place, however, only thanks to a recent translation, the first direct one from Arabic into English, a copy of which he purchased as a law student in 1765. That translation, by a young English lawyer named George Sale, would prove to have an outsize role in the Western study and understanding of the Quran. Long before Europeans governed Muslim colonies, interest in Islam and its cultures ran high in Europe. Part of the reason was political. Three Muslim empires dominated large parts of Asia: the Ottomans in Anatolia, the Mediterranean and Arabia; the Safavids in Persia; and the Mughals in India. 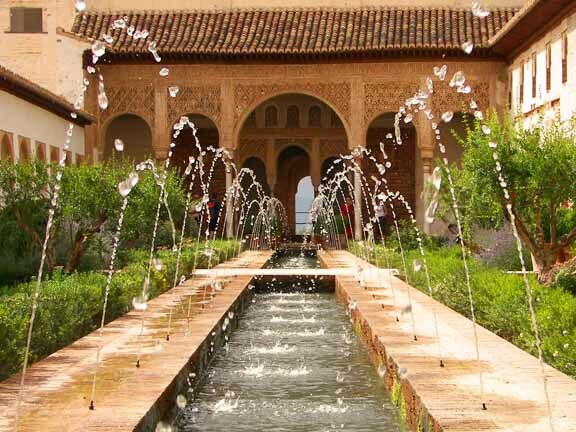 These Muslim dynasties were not just powerful but were also admired for their refined arts and culture — music, poetry, gardens, ceramics and textiles. Moreover, books in Arabic offered knowledge of many fields to those who learned the language. Not just the sciences and philosophy but even Arabic literature enticed European translators. Thus, in 1704 a Frenchman first translated the “1001 Nights,” whose tales soon became an enduring classic of European as well as of Arabic letters. Above all else, the religion of Islam itself seemed an especially compelling field of inquiry to a variety of European scholars and thinkers. How had a handful of Muslims emerged from the Arabian Peninsula in the seventh century to conquer so much of the known world? This was one of the great questions of world history, as both the French Enlightenment philosopher Voltaire and the English historian Edward Gibbon agreed. 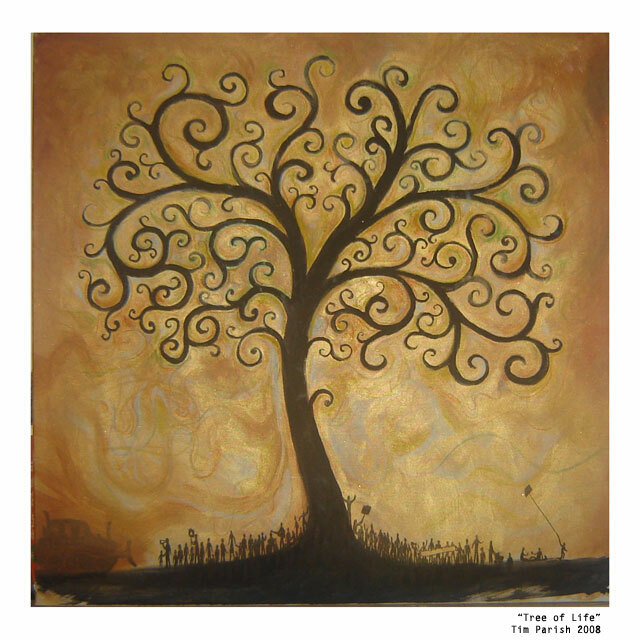 In addition, philosophers and freethinking Christians deemed the central tenet of Islam, the unity of God, more rational than the mystery of the Christian Trinity. Thus, many different Europeans attributed singular importance to Islam and the language of its revelation, Arabic. A man said to the Holy Prophet (pbuh): “Messenger of Allah, I love you”. The man said: “Indeed, I love you”; and repeated it three times. If there was such a love which existed in the times of the Holy Prophet (pbuh), it was love which was bonded a believer to another believer, only for the pleasure of Allah. And a greater love which existed is the love which a believer has for the prophet of Allah (pbuh) and a yet greater love is the love which the prophet had for the believers. Yet a greater love existed more than this love, and that is the love which the Holy Prophet (pbuh) had for Allah; but love, the true one is the one which Allah has for His prophet; after that love, then comes the love which Allah has for His creatures; especially His sincere servants. Therefore, it is such a great and beautiful love that the prophet loses himself in Allah, and Allah bestows upon him His favours and makes the hearts of the sincere people, and the seekers of truth to attach themselves to it (Allah, Allah’s love). 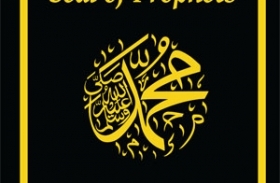 If Islam is the vehicle of life, the Holy Prophet Muhammad (pbuh) is the representation of true life, in that which he is the perfect example of how a human, and especially a true servant of Allah must be for Allah in this temporal world despite living among the mixed existence of man, sometimes good, sometimes evil. 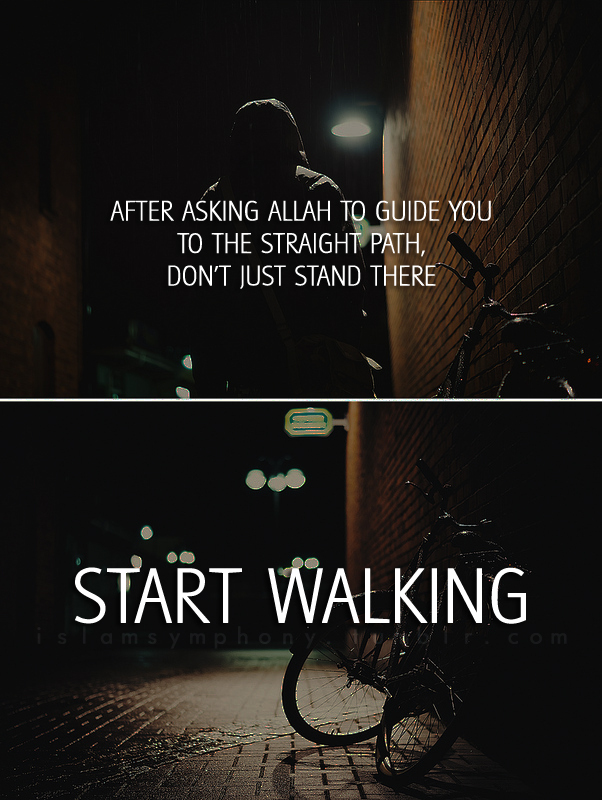 Islam guides man towards perfecting himself for Allah, not the world and all that it contains. The world is temporary whereas the Creator of mankind exists for ever. Indeed, He has neither beginning nor end. He is there for all times, and His presence and appearance are beyond the conception of man. The Holy Prophet Muhammad (pbuh) during his life on earth showed the correct way of life, by his own example. This is one of the fundamental duties of the seal of the prophets, that he provides such guidance which shall not only mark the people of his era, but humankind as a whole, and that till the Day of Judgement. 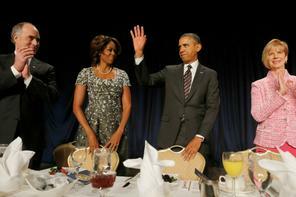 President of the United States Barack Hussein Obama spoke at the National Prayer Breakfast, a decades-old Washington tradition, on February 06, 2014. "To harm anyone in the name of faith is to diminish our own relationship with God", says the President. As instances of persecution and other violation of basic freedoms scar the lives of millions of people in different parts of the world, the President reminds that to respect human rights, particularly religious freedom, leaders everywhere must do more. Among the cases of egregious violation of religious freedoms, the President remembers the plight of, among others, the Ahmadi Muslims of Pakistan. The term “Khatamun-Nabiyyin” which when literally translated means ‘Seal of the prophets’ is grammatically a compound phrase. It is a matter of common knowledge that when two words join together to make a phrase, they do not necessarily give their literal meaning. For example, ‘Ibn’ means ‘son’ and ‘Sabil’ means way; but when these words is joint together to make ‘Ibn-Sabil’ it does not reflect an absolutely literal meaning. We thus don’t consider it to mean: ‘Son of the path’, it only means a traveller. Such titles was also a practice of the Holy Prophet Muhammad (pbuh) whereby he used to name his companions according to sometimes memorable events or simply because of the situation in which he found them. For example, he named his cousin, son-in-law and his fourth successor Ali (ra), Abu Turab, which literally means: Father of the soil/sand, which of course Hazrat Ali (ra) was not literally one, but the Prophet of Allah (pbuh) gave him the name as an adjective or attribute and not as a literal meaning. So the real sense of a phrase is determined by grammar, its usage in language and the context in which it is used. It is an established and unchangeable rule of Arabic grammar and language that when the word ‘Khatam’ is used in the praise of a person and its combining word is a ‘group of talented people’, it never means that the person called ‘Khatam’ is the last or final to appear in respect of time. It always means that in the opinion of the user, the person concerned is the perfect and supreme in that ‘group of talented people’ and that he has achieved the last and final grade in that particular excellence. The Islamic literature is full of such instances and not a single example can be cited against this rule.